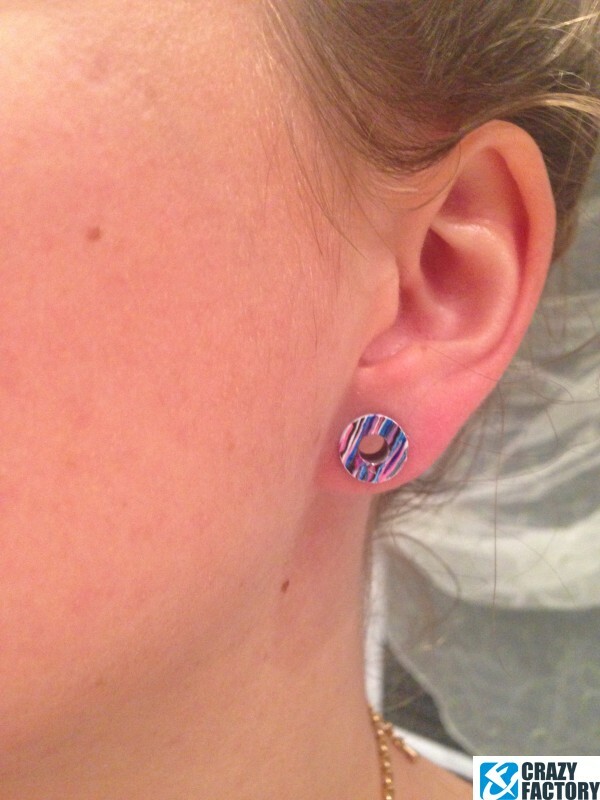 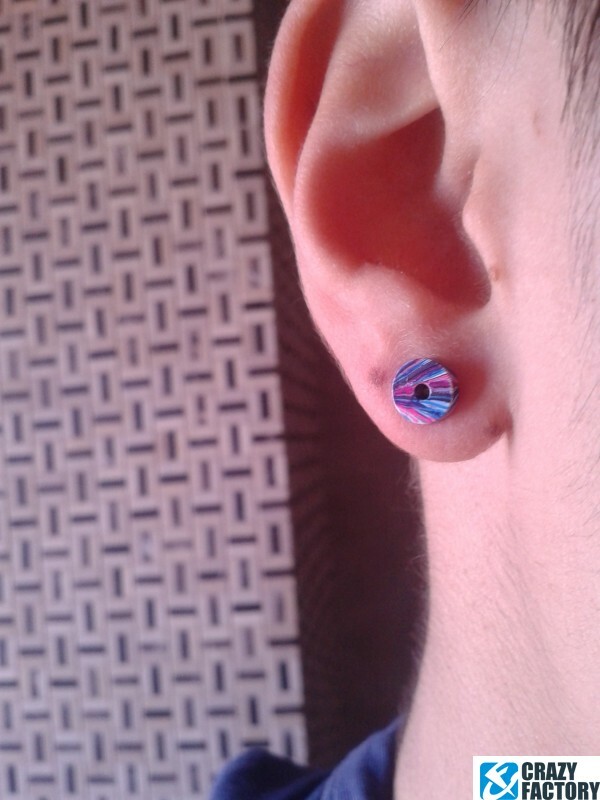 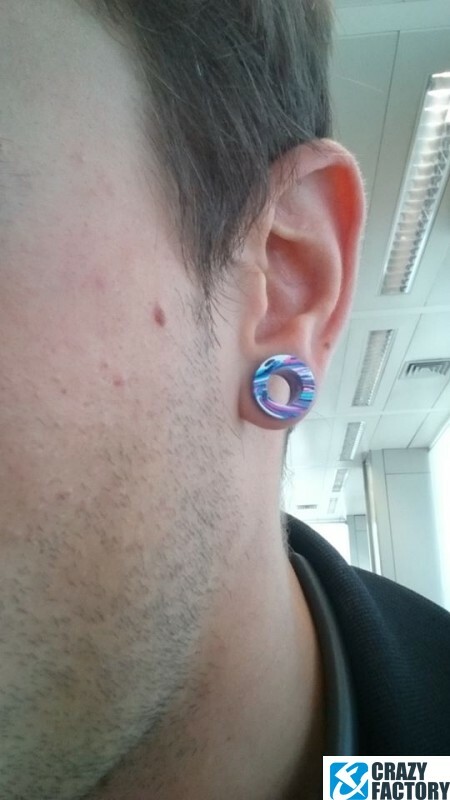 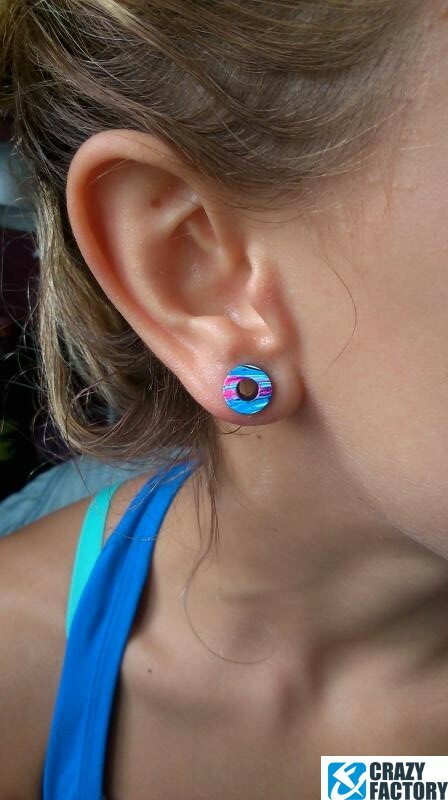 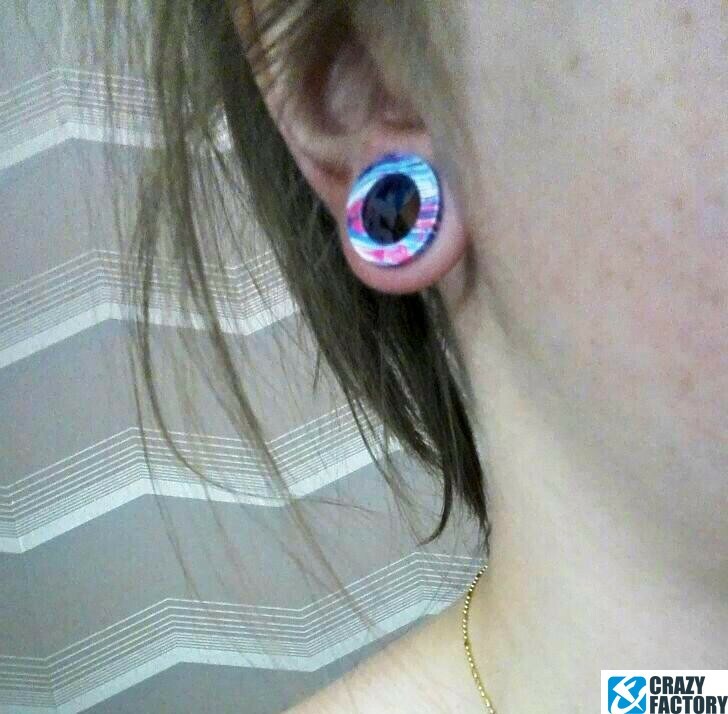 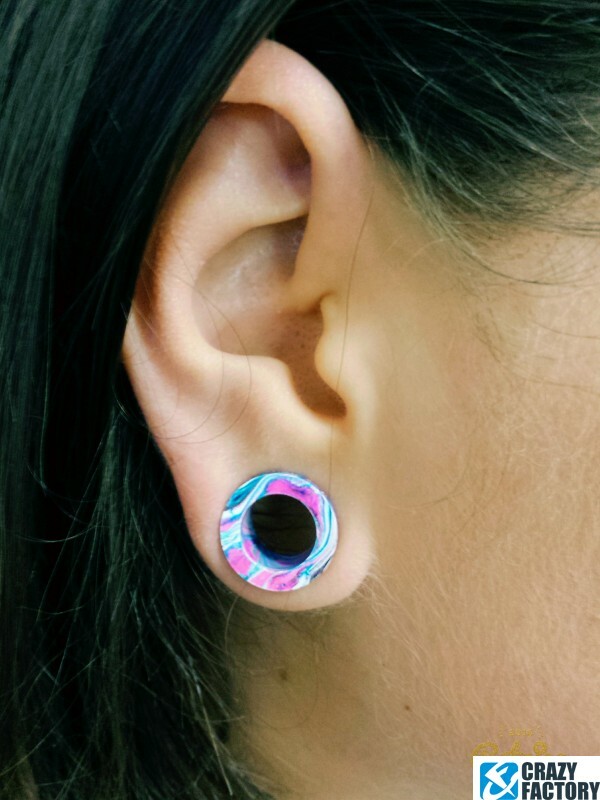 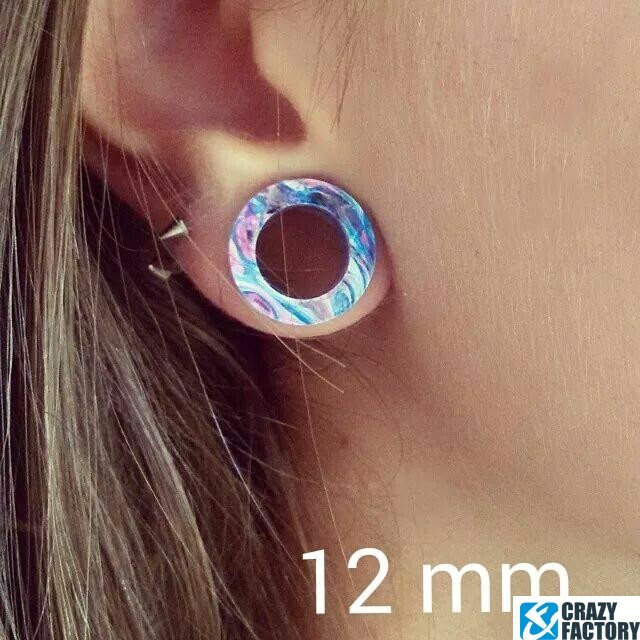 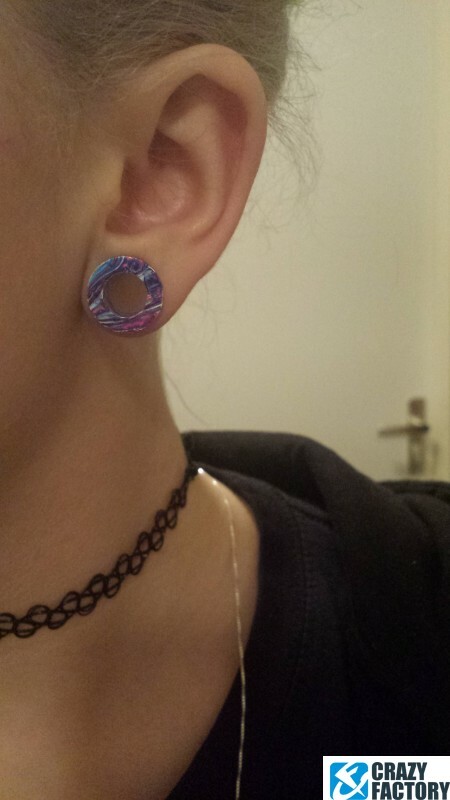 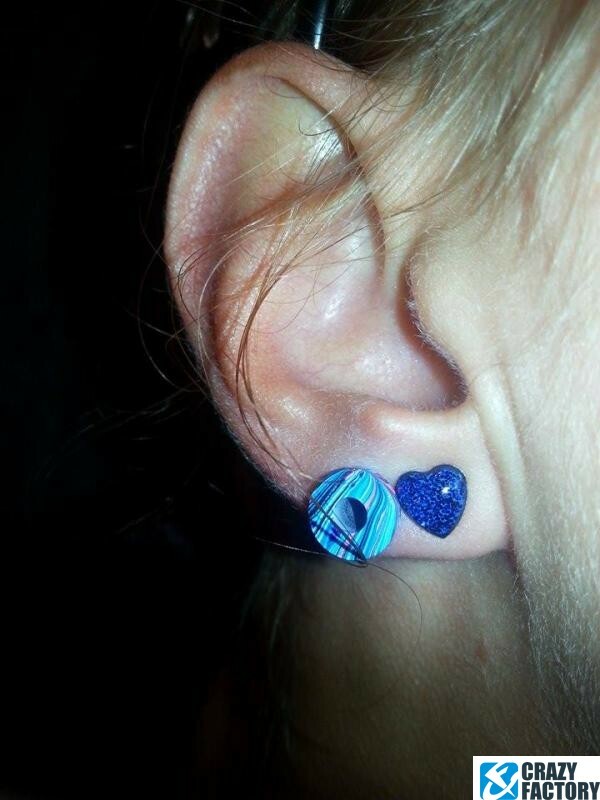 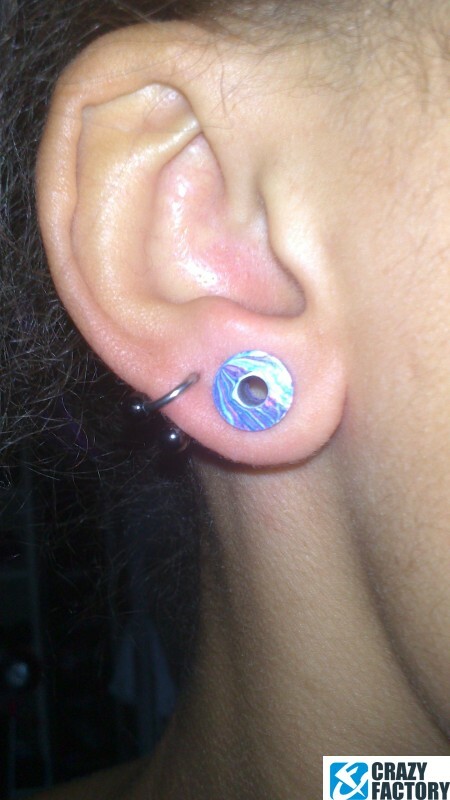 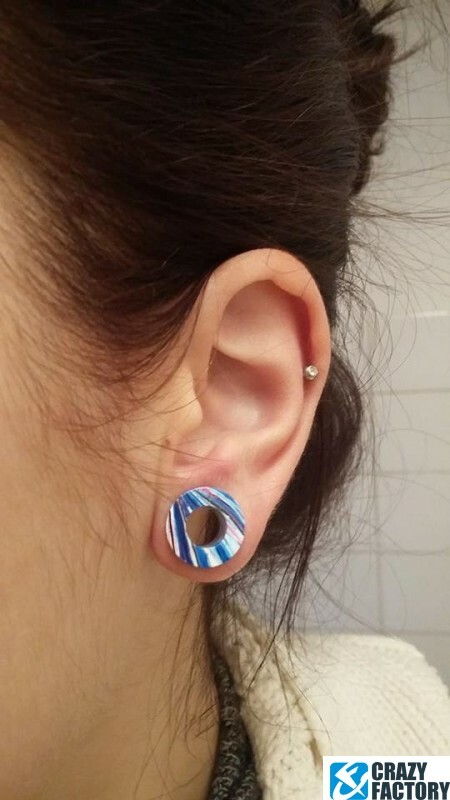 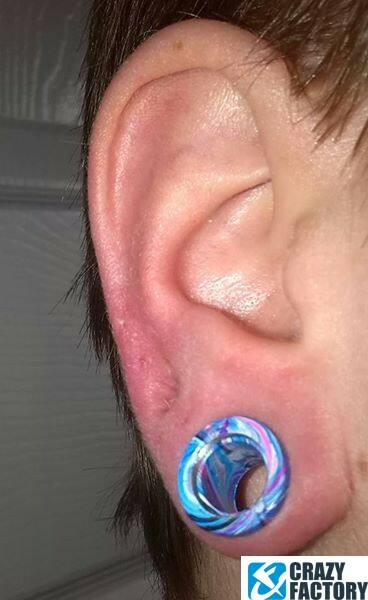 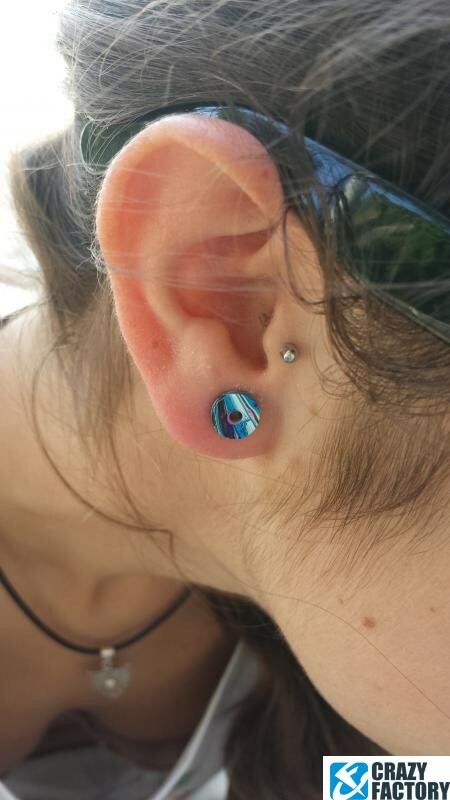 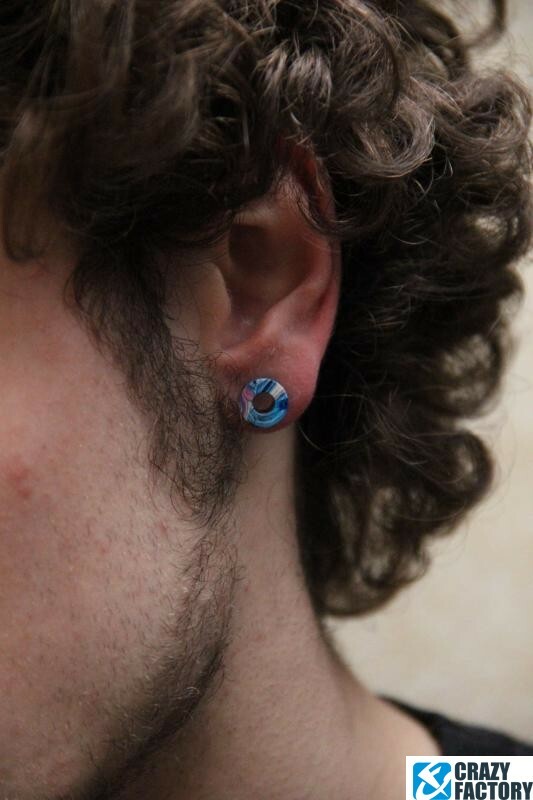 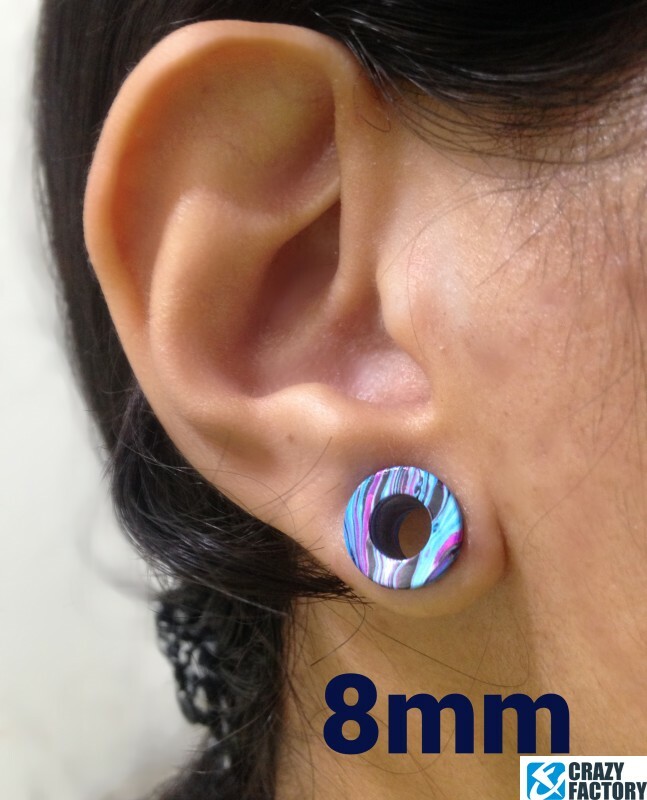 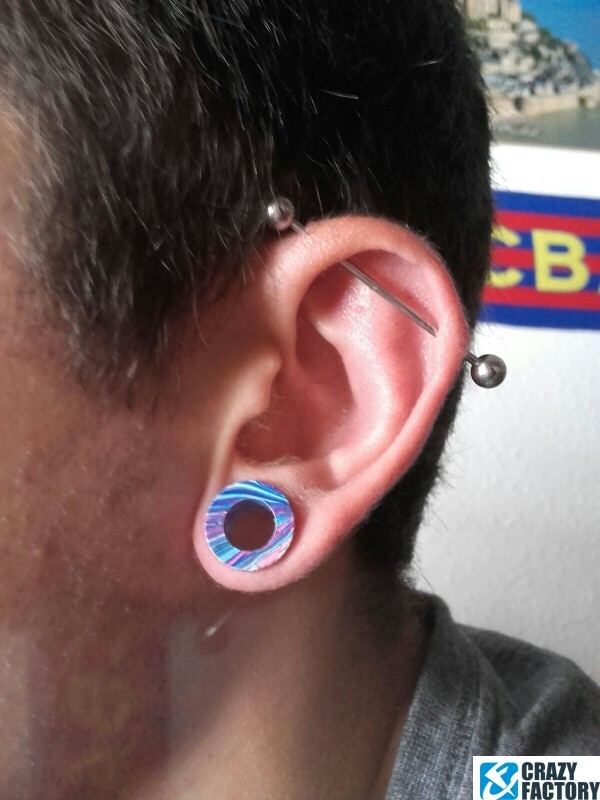 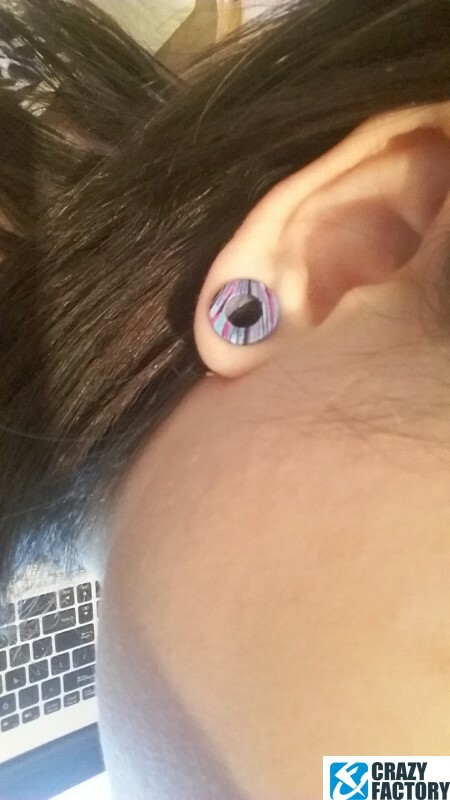 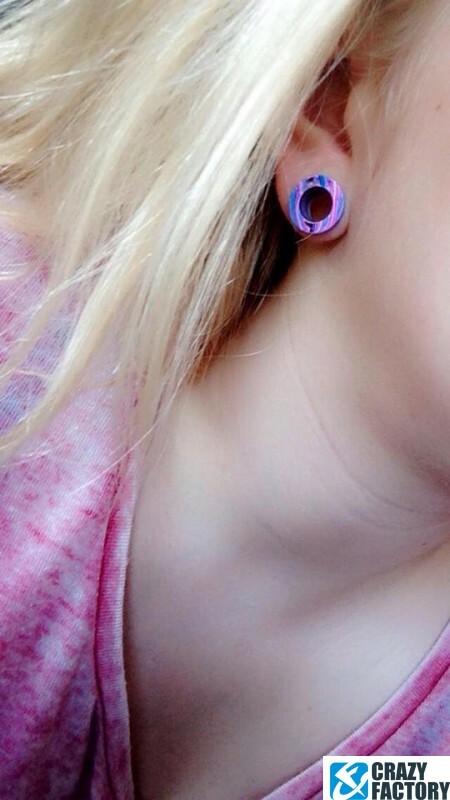 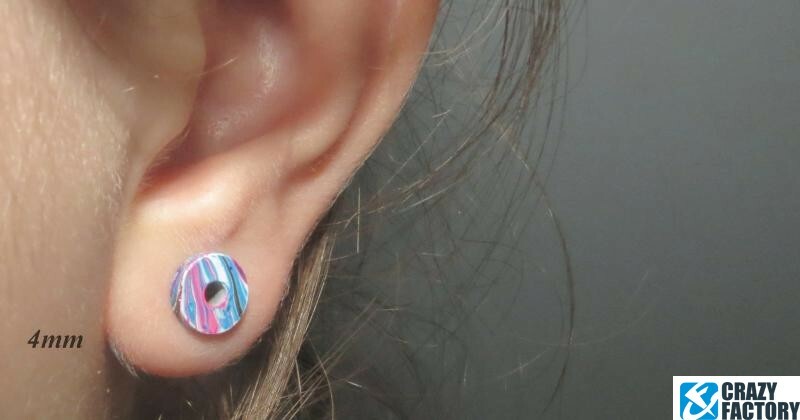 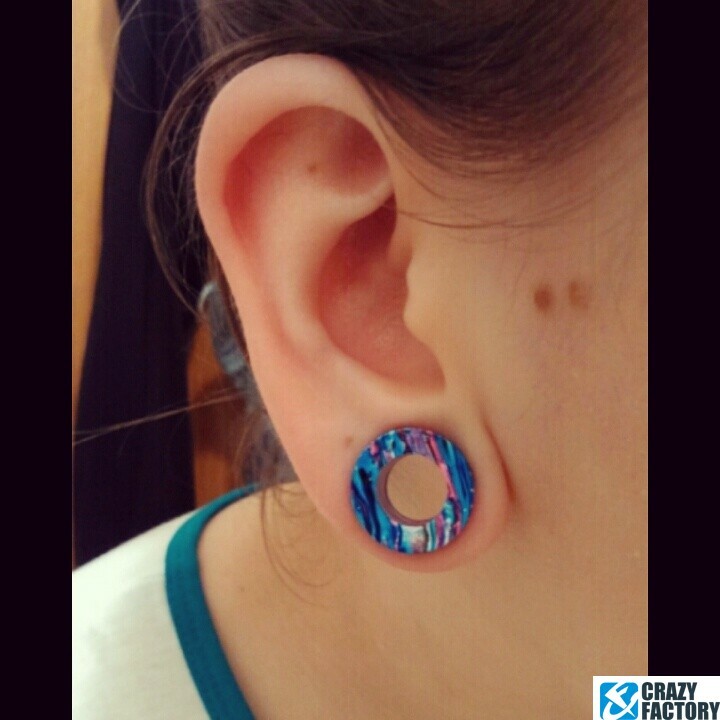 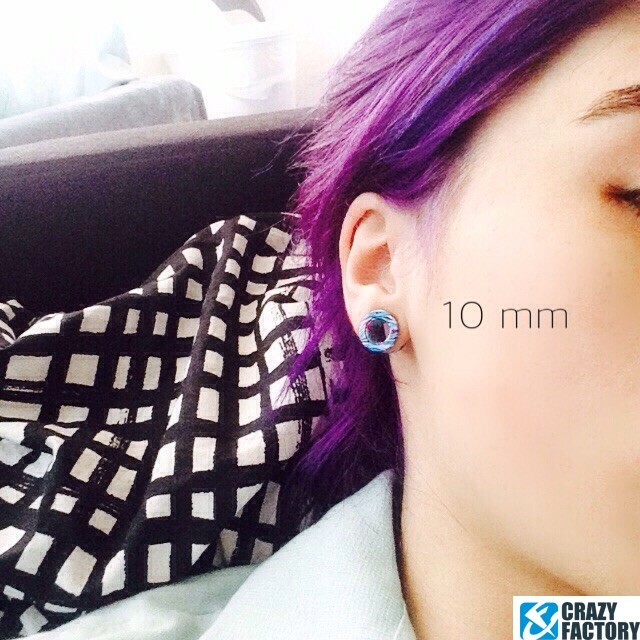 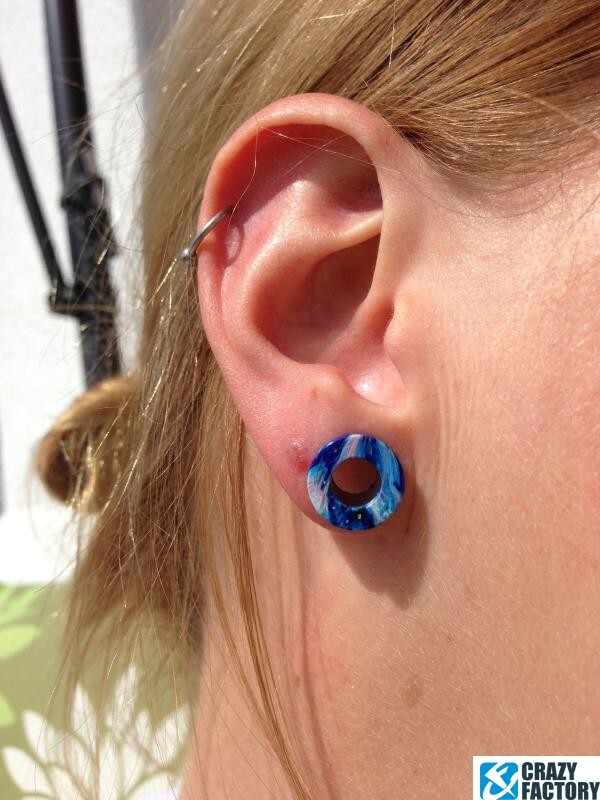 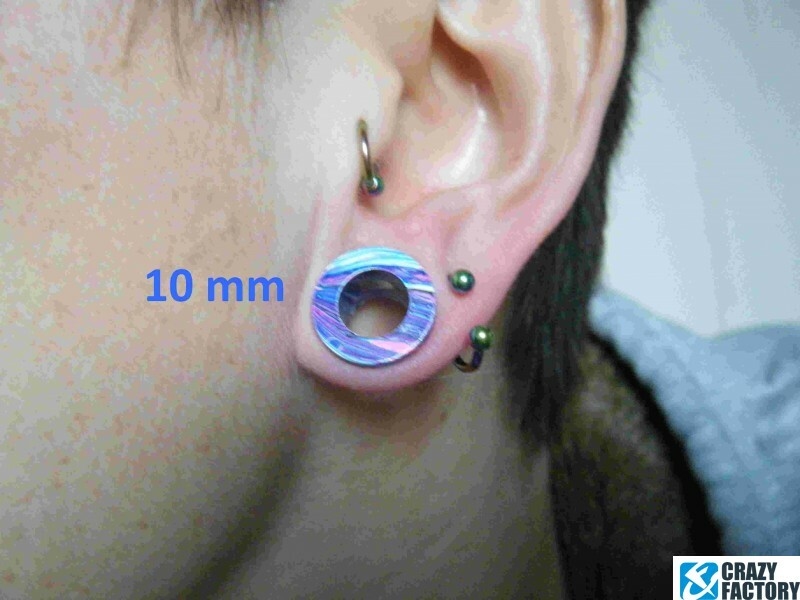 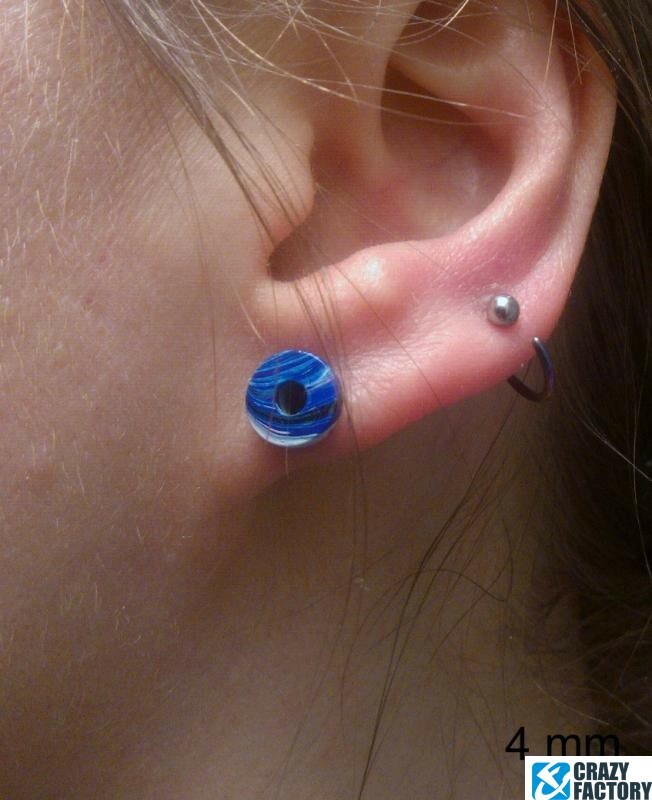 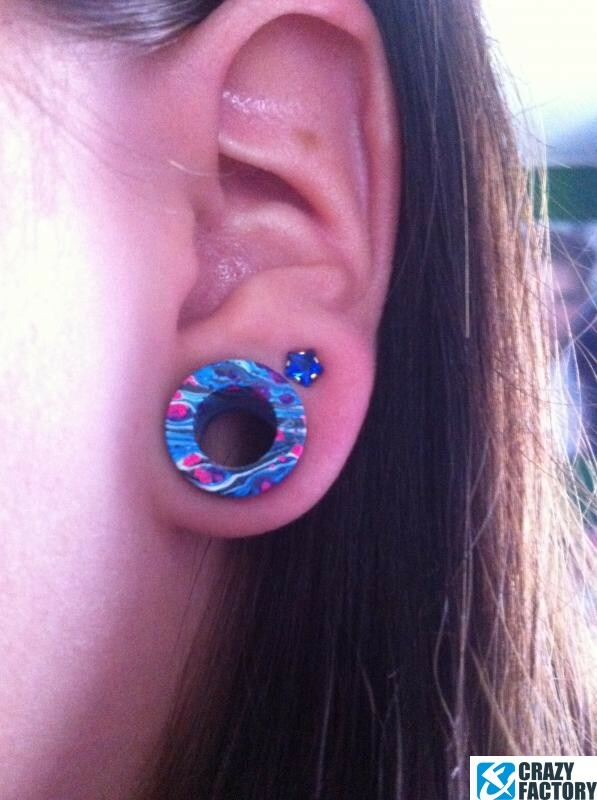 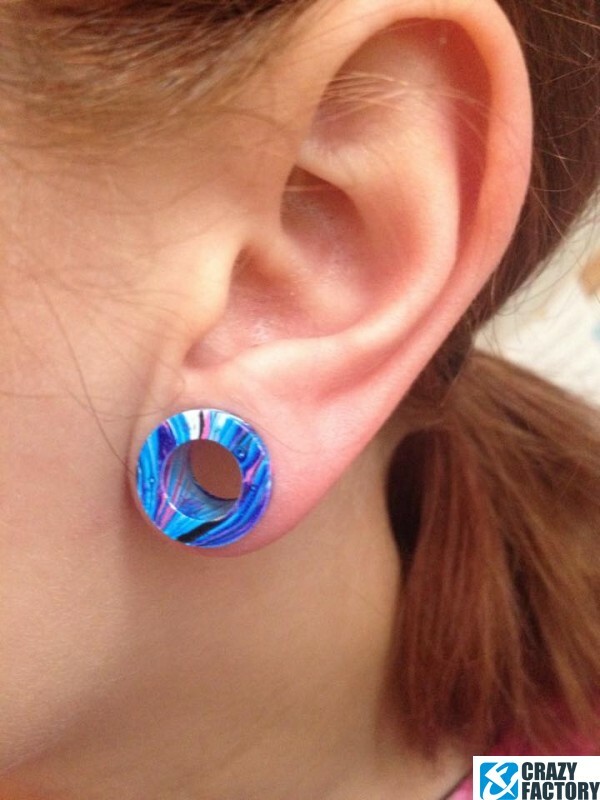 This flesh tunnel made of 316L surgical steel comes in tones of blue and pink. 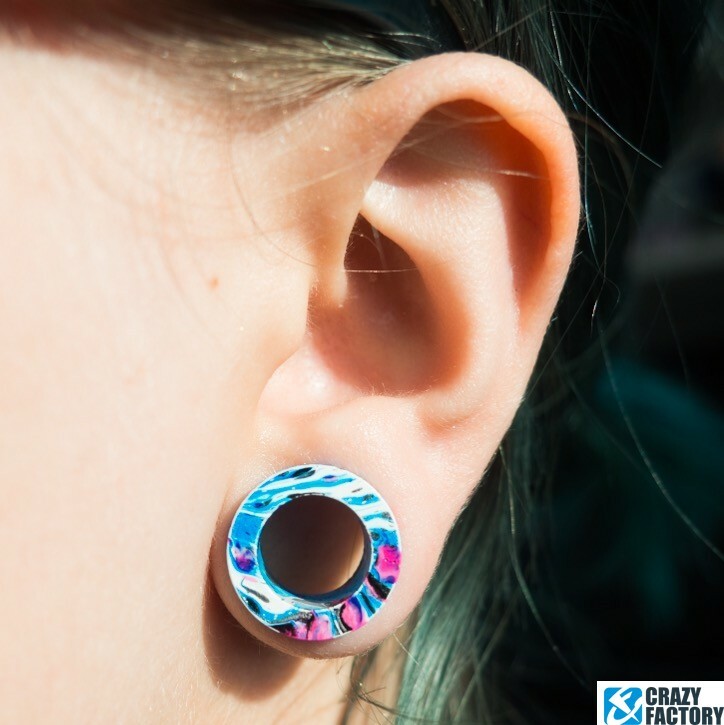 The pattern varies slightly in each piece, making every one unique. 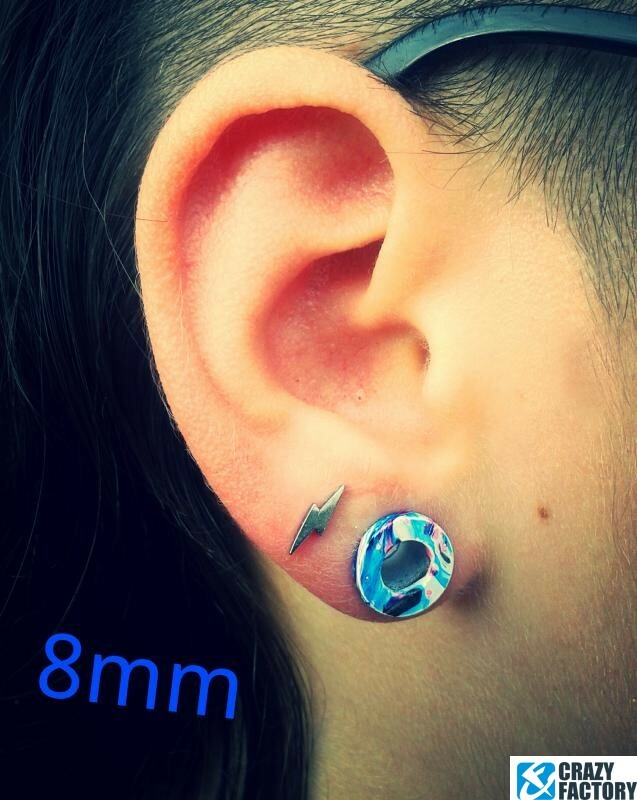 Select your size and pop one in your shopping cart.